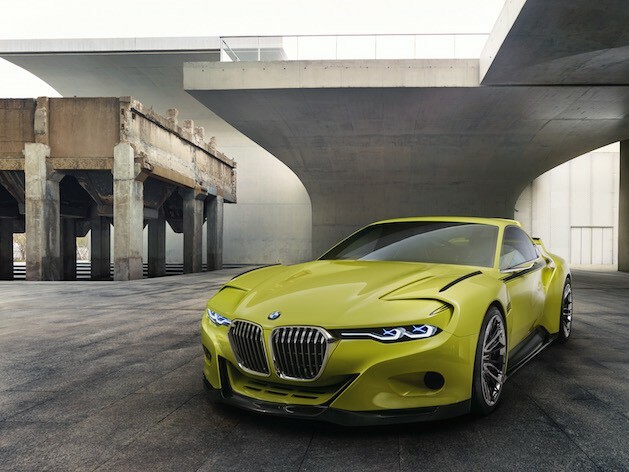 The post 5 ugliest BMWs ever designed appeared first on Carspoon.com. Everyone knows how nice BMWs can be. They are considered high class and luxury cars to many people. Unfortunately to others, BMW seems to be “slacking” on their designs. The cars being produced aren’t as nice as they used to be. The thought behind this vehicle was turning the best part of two vehicles into one. BMW wanted to fit the space of an SUV into the frame of a sedan. It was supposed to make everything more efficient. Everything but the look that is. You can’t take a bigger SUV and cram it into a coup but that didn’t stop BMW from putting out a $62,000 vehicle. The vehicle isn’t good at being a compact coup or a spacious SUV, so customers and critics are left asking: What was the point? Sales didn’t go as planned and the car got such horrible feedback that it even has its own definition on urbandictionary.com which can never be a good thing. 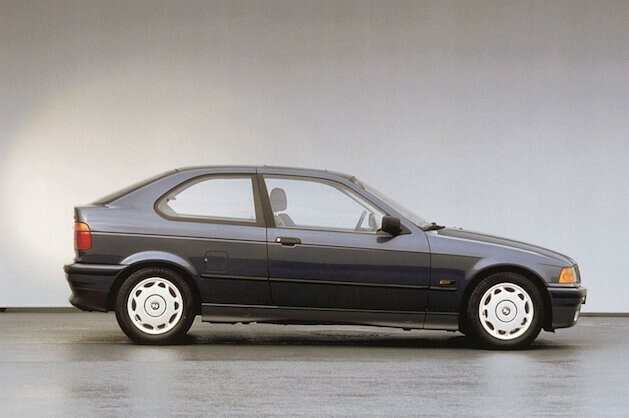 To start with this vehicle, if BMW was going for the word “homage” they spelled it wrong. Other than that, the vehicle is downright ugly. The worse part of the car is the grille. It looks like a creepy smiley face that you might see on evil animated characters. This could be why BMW chose not to put out a teaser image before the release. The car in all is not pretty to look at for anyone. When you see a BMW, it is probably pretty noticeable that it is indeed a BMW. Unfortunately for ugly car number three, it doesn’t look like a BMW at all according to many critics of the design. It looks different from anything the car company has ever put it, but it has an upside. 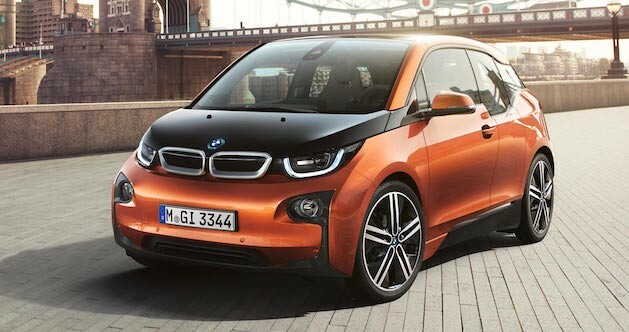 The official 0 to 60-mph time is 7.0 seconds, and according to a BMW factory representative, from 0 to 30 mph, the i3 is one of the quickest compact cars the company has ever made. Although this car is considered the grandfather to the BMW 1 Series, a tweak in the model seemed to be unpopular with critics. The vehicle is basically a truncated liftback version of the BMW 3 Series produced by BMW between 1993 and 2004. 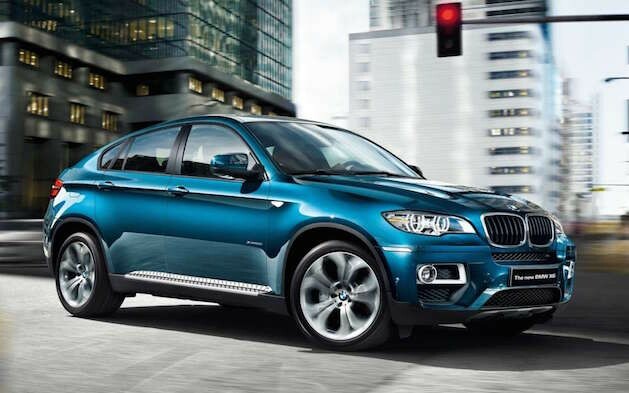 One of the last ugly cars BMW designed is this Concept X4. 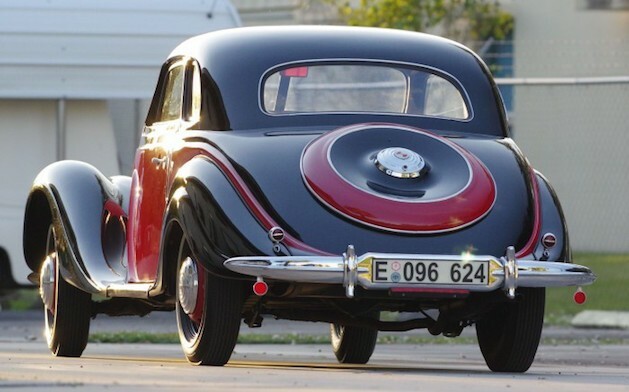 It is concept that the German car company probably could have left in the secret files in a dark basement. The car was a precursor to the X4 and melded the worst of parts of a high-riding SUV with a hatchback. An SUV isn’t something any car company should try to merge into a smaller car. An SUV is a SUV for a reason. 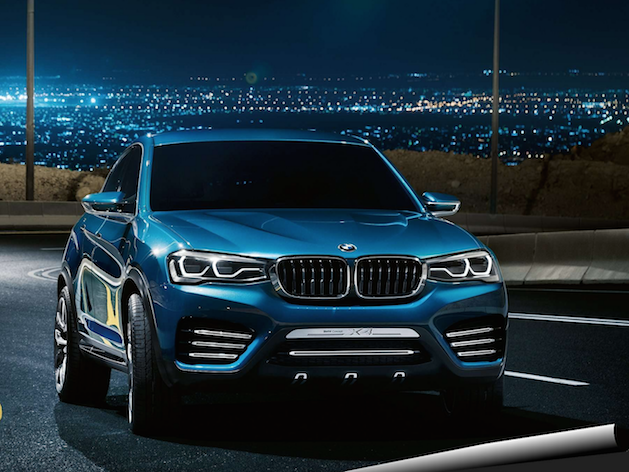 BMW is known for a lot of nice cars, but with the ugly ones they have been putting out, they might start to lose customers if they have not already done so. The post Do You Really Need to Change Your Oil Every 2,000 Miles? appeared first on Carspoon.com. It seems like every time you turn around, 2,000 miles has gone by and it’s time again to change your oil. Reluctantly, you hope in your car and head to the mechanic, who over-charges you for oil and slaps a reminder sticker on your windshield to come on back in 2,000. It feels a little like he’s saying, “See you next month!” Is it really necessary? 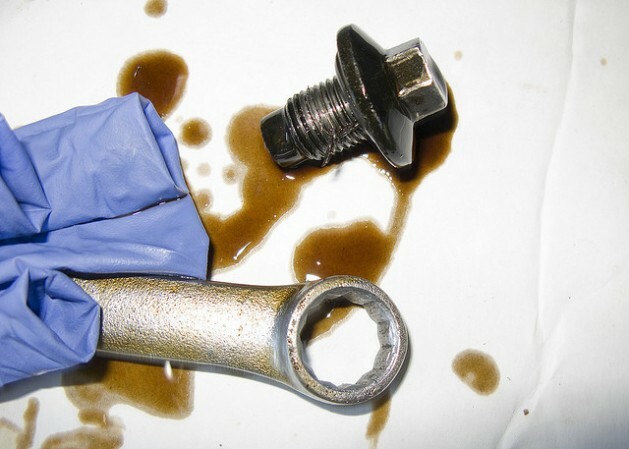 We’ll take a closer look at changing your oil, what it does, and why it may or may not be. 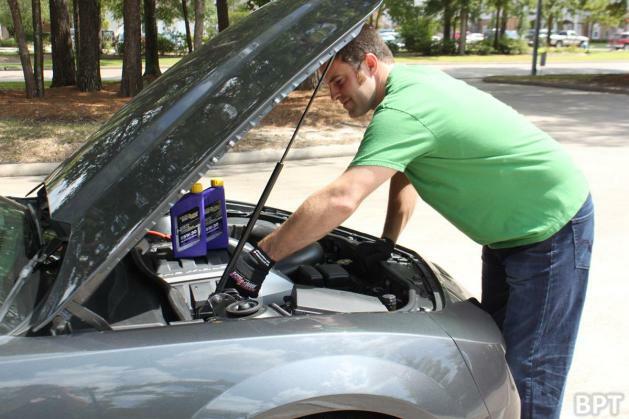 There are two types of oil that you could potentially put in your car: standard or synthetic. The first thing you need to do in figuring out how often you should be changing your oil is determine which type you use. While both oils originate as crude oil and serve the purpose of lubricating the engine, synthetic oil has had modifications that make it a little more durable and protective for your engine. The result being more time between oil changes. So, if you find yourself using synthetic oil instead of standard, changing your oil every 2,000 miles is absolutely a waste of money, as you’ll likely get closer to 5,000 miles between oil changes. If you really think about it, car makers aren’t the ones who aggressively determine how or how often you perform standard vehicle maintenance. Who does it? It’s the oil makers and body shops that make those presumptions and almost bully people into feeling like it’s a requirement to be that active in vehicle maintenance. First and foremost, we recommend getting familiar with your car in regards to the make and model. 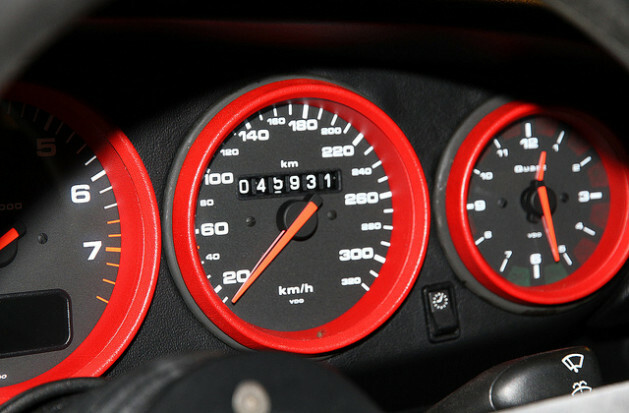 Read the manual, do your research, determine what mileage you should aim for between oil changes. Some makes and models will allow for up to 10,000 miles safely between oil changes, but you’d never know it because of the oil companies and body shops that have you believing the opposite. Are you going to a “Mom and Pop” body shop, where you’re seeing a mechanic who has been trained on the inner workings of your vehicle and who gives you customized service? Or are you going to one of dozens of auto body chains, such as Jiffy Lube, where employees simply follow a mandated protocol for maintenance? While we never recommend finding a mechanic who is less than trustworthy, we do recommend branching out for second and third opinions; you may find you like what you hear a little more. So, in short, if you are comfortable with shelling out $30 for an oil change every 2,000 miles, it certainly won’t hurt your car. Is it completely necessary? Highly unlikely. The post How To Check Your Car Before a Road Trip appeared first on Carspoon.com. Visit our website for details and images of our mag wheel range: http://www.a1wheelandtyre.com. The post The Difference Between Synthetic and Conventional Motor Oil appeared first on Carspoon.com. The post 2015 Ferrari Sergio: Excitement For the Very Few appeared first on Carspoon.com. The post How to Identify Problems With Your Land Rover Freelander Brakes appeared first on Carspoon.com. Your Freelander’s brakes are one of the most vital parts of your vehicle and keeping them in the best shape possible is key to keeping your Freelander running efficiently and safely. If you have a problem with your brakes the following information will hopefully help you to determine exactly where the problem is. The information below is for the Freelander 2 however most of it is common to all Freelanders and in fact all vehicles. Do you find your Freelander’s brakes are noisy? As you will expect your brakes wear over time, and so inspecting both front and rear brake pads for deterioration as well as any damage to your anti-squeal shims is a good idea. Have you discovered any damage or build up on your Freelander’s brake discs? If so it might be time for a clean or a change of discs, depending on how severe you determine the wear to be. Even if you don’t immediately see any clear damage to your discs or shims, you should still check for any possible corrosion, wear or thickness variations. Brake disc variations could cause noticeable issues with your Freelander; not only the efficiency of your braking system but can it also be the source of other issues such as vibration and or harshness felt when applying the brakes, which conveniently leads us onto our next section. Are you experiencing a vibration or harshness when your brakes are applied? As previously mentioned, brake disc wear can be the source of not just inefficient braking but can also be the likely culprit for noise vibrations and or an overly harsh sensation through the brake pedal or steering wheel. If you are feeling vibration or harshness, it may be time to give your Freelander a road test to find a solution. To road test your Freelander you will need to bring it up to speed on a long stretch of road to about 25 – 50 mph without applying brakes. 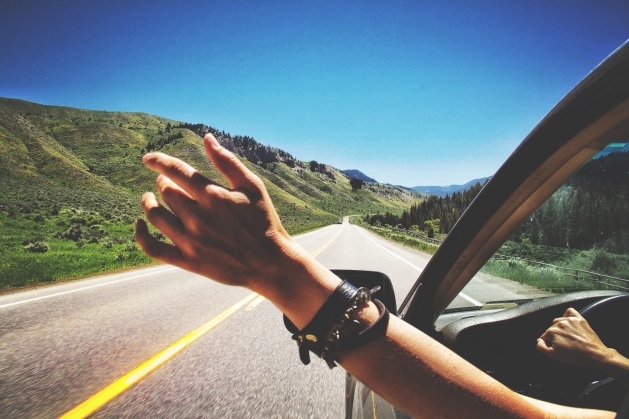 Once you are at a reasonable speed without applying brakes, listen for any vibration. If you can hear/feel a vibration, it’s recommended to check the balance of your wheels/tyres, or for any damage or wear to your suspension bushings/components. If you are still not satisfied with whereabouts you are hearing/feeling vibration, you can always repeat the road test if you deem necessary. If there is no vibration without application of the brakes, repeat the road test but this time with a light to medium application. Is there now vibration present? If you can hear or feel a vibration with the brakes applied at varying levels then it is recommended to check your brake caliper mounting bolts and wheel hub nuts, then to have these tightened as necessary. Check your Freelanders brake discs for excessive wear, runout, thickness variation or cracks and seek a mechanic for installation of new brake discs as required. Unfortunately if there is still vibration present, there may be a number of issues and so it would be wise to check for wear or failure of your steering gear bushings as well as your steering gear ball joints. Failure or wear of your front wheel bearings, suspension bushings are also a possibility. Have these components replaced as required. Do your brakes pull or drift? Do you feel your Freelander drift or pull to one side when you apply the brakes? This problem can be down to incorrect tyre pressure or excessive wear on your tyre tread. Having these problems adjusted and changed as soon as possible would be recommended as to keep your Freelander running efficiently. If you still feel your Freelander drifting or pulling while brakes are applied, or your tyres are already at the correct pressure and in good condition, it may be beneficial to check your disc brake caliper pistons and pins for any signs of binding, leaking or sticking as this could be the culprit. While doing this it would be wise to also check your brake discs for any excessive damage, thickness variation or runout. If any of these are present on your discs, a replacement would be recommended. If you don’t see any damage or wear to your disc brake calipers but still get a pull or drift when applying the brakes, a look at the front hub and wheel bearing assembly as well as the suspension bushing and ball joints could reveal the problem. If after all suggested fixes you are still finding your Freelander is pulling or drifting, it may be your steering geometry, in which case you can adjust this as necessary. Do you feel as if your Freelander brake pedal is spongy? Do you feel as though you have lost some brake pedal height (Sometimes called pedal reserve)? Your pedal may even touch the floor under heavy braking or your brakes no longer provide sufficient brake force. With your engine off check for a firm pedal. Is the brake pedal effort and pedal travel normal? If the effort is feeling unusual you can check your brake pedal reserve to rule out other issues. With your engine still off pump the pedal 10 times and hold on the final application. Does your brake pedal now feel firm on the final application? If the final application does feel firm, it is recommended you follow the brake pedal reserve check. However if you find the final pump still feels spongy or unusual this could also be a sign that there is air in your brakes system and that a bleeding of the system is required to remove the air. With your engine now turned on ensure the parking brake and transmission is in park/neutral. Apply the brake pedal lightly three or four times. Wait 15 seconds for the vacuum to recover. Push down on the brake pedal until it stops moving downward or an increased resistance to the pedal travel occurs. Hold the brake pedal in the applied position while increasing the engine speed to 2000 rpm. Can you see or feel the brake pedal move downward as the engine speed returns to idle? If you do not feel the pedal move downward you will need to check the vacuum to your brake booster. However if you do feel your pedal move downward it could be your brake master cylinder reservoir fluid level. Check this fluid level as well any leaks in your brake system and rectify as necessary. If needed add fluid then bleed the brake system. Is your Freelander’s brake pedal traveling faster than normal? A fast traveling brake pedal can be a sign of a few things. Start by taking your Freelander on a road test and feeling for irregular speed of travel in your brake pedal. Do you still feel that your pedal isn’t quite right? If so the next step is to bring your Freelander to a stop and while stationary pump the brake pedal rapidly at least five times so as to pressurize your brake system. Do you feel the pedal travel build up and then hold? If so a bleed of your brakes system and a following test for normal operation is required. However if you do not feel your pedal hold after pressurizing the system this could be a sign that you may have an external brake system leak. Is your Freelander’s brake pedal traveling slower than normal? A slow traveling brake pedal can be a sign of an external brake system leak. A check on the brake system for a leak is advised and a repair be carried out if you discover any damage or leaks, followed by a top up with brake fluid and bleeding of the system. 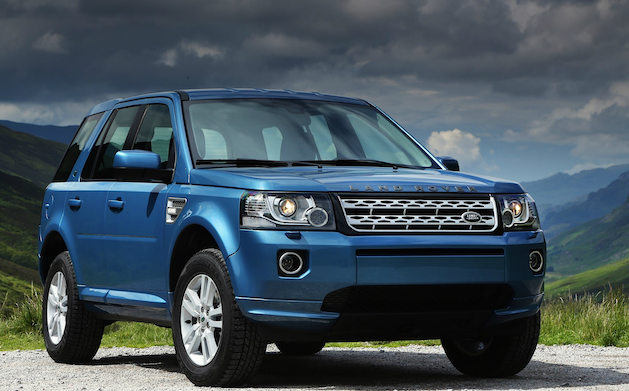 Are you finding your Freelander requires excessive effort to engage the brake system? Having to use excessive effort on your brake pedal can be a sign of brake pad wear or damage of some form. A check of your pads for excessive wear and damage, contamination or incorrect installation could reveal the problem. If you find any concerns with your brake pads a new set of pads should be installed. However if you do not find any concerning damage or wear to your brake pads, check and locating the issue then repair of your brakes vacuum. If you do not find any issues with the vacuum, a check and inspection of the rest of the system and any damaged connections or missing clamps should be completed. After a check of the system another check for proper functionality of the brake vacuum is required. You can do this by pumping the brake pedal several times to exhaust the vacuum with the engine off. Push down on the brake pedal and hold. Does your brake pedal move down when the engine is started? If not you will need to check your brake booster valve for proper functionality and have repaired as necessary. Do you feel your brakes lockup during light application of the brake pedal? Start by inspecting your brake pads for any wear or damage, signs of incorrect installation or contamination from oils etc. If you uncover anything that is of concern, you should have your brake pads replaced as required. Inspect brake callipers for binding, leaking or sticking that could be cause for concern or the source of the locking up of your brakes. Do you feel your Freelander brakes drag when applied? Dragging brakes are usually caused by issues with the brake calipers pistons and pins as well as the parking brake cables and so it would be a good idea to check these for sticking, binding or leaking. If you do find sticking or binding of these parts, a replacement of these components would be required. However if you do not find any issues with these components the cause could be your brake boosters connecting rod alignment and travel. Do you find your Freelander has excessive/erratic brake pedal travel? To begin, a check on the brake master cylinder fluid level is required as to rule out improper seal on the master cylinder reservoir. If you find you are running low on master cylinder fluid, top it up using the exact fluid recommended for your Freelander, to the requirements stated on the reservoir. Follow by bleeding the system. Check the brake pedal reserve as covered earlier. Follow this by a check of the front wheel bearing assembly looking for any damage and excessive wear or play in the bearings and replace if necessary. If you do not find anything of concern in the wheel bearing assembly a check for thickness variances in the brake discs is recommended. Are you experiencing slow or incomplete brake pedal return in your Freelander? To check your brake pedal return you should begin by running your engine at idle while making several brake applications. Release the brake pedal and measure the pedal to toe board distance. The brake pedal should return to it’s original position. If your pedal does not return to it’s original position you will need to have the brake booster disconnected in order to check for any binding on the brake pedal itself. After disconnecting the brake booster the brake pedal should operate freely. If not, a repair or installation of a new brake pedal may be required. We are FreelanderSpecialist.com, we have worked on nothing but Freelander’s for many years and we love them. We don’t love them because they give us an income, we love them because they are fantastic vehicles; they are comfortable, stylish and extremely capable. We love people who love their Freelander, and we will do everything we can to help you keep it in tip top condition and avoid all of the issues above; from regular tips on our Facebook page https://www.facebook.com/FreelanderSpecialist and articles on our website http://www.freelanderspecialist.com, to email (sue@freelanderspecialist.com) and telephone (+44 780 9575 421) support. But if you do get caught out we are always here to carry out repairs and we specialise in reconditioning all Freelander engines and drive train items. The post Negotiating Tips for Car Shoppers appeared first on Carspoon.com. Does anybody really pay full price for a car anymore? Our thought is probably not, and why would you when negotiating can be so effective? If you play your cards right with negotiating, you could potentially save thousands off the price of a car. So, before you head to the dealership to make your purchase, brush up on some negotiation techniques if you’d like to save a buck. There are a number of factors that go into timing your visit correctly. First, understand that inventory is cleared off of lots in preparation for new inventory toward the end of the year. The benefit of knowing that is understanding that car dealers are typically more willing to negotiate if they think they can make a sale. Also, choose to shop on the last day of the month, where you’ll catch salesmen trying to meet quotas or grab bonuses based on quarterly goals. Lastly, try to go mid-week, during the work day. Tuesdays and Wednesdays are typically slow days for dealers, so they’ll be more likely to jump through hoops to make a sale than they would, say, on a busy weekend where customers are lined up at their door. Don’t head to one dealership and buy the first car you find, even if it is a decent deal. Do a little shopping in advance: look online, make some phone calls, make a day of popping in to different dealerships to see what’s out there. Visiting a dealership and talking to the same salesman on two different occasions will let them know that you’re a serious buyer, and they’ll be more willing to work with you, especially if they know you’ve been somewhere else looking for a better deal. You have to actually be willing to walk away from a car for this one to work, bluffing simply won’t cut it. When a salesman works with you for hours to get you right where he wants you and then senses that you’ll walk away if it’s not exactly what you wanted, he’ll probably get a little antsy and do everything he can to make the sale. There’s just something about waving a wad of cash in front of a salesman’s eyes that makes him weak in the knees. It’s a big win for a car dealership whenever they’re paid in full on the spot, as opposed to waiting for you to get a loan and pay monthly installments. If you have the cash on hand, use it; they’ll be eager to make the sale in full, even if it means coming off the price more than they’d planned. Exercising these little techniques will have you saving thousands on your next car purchase! 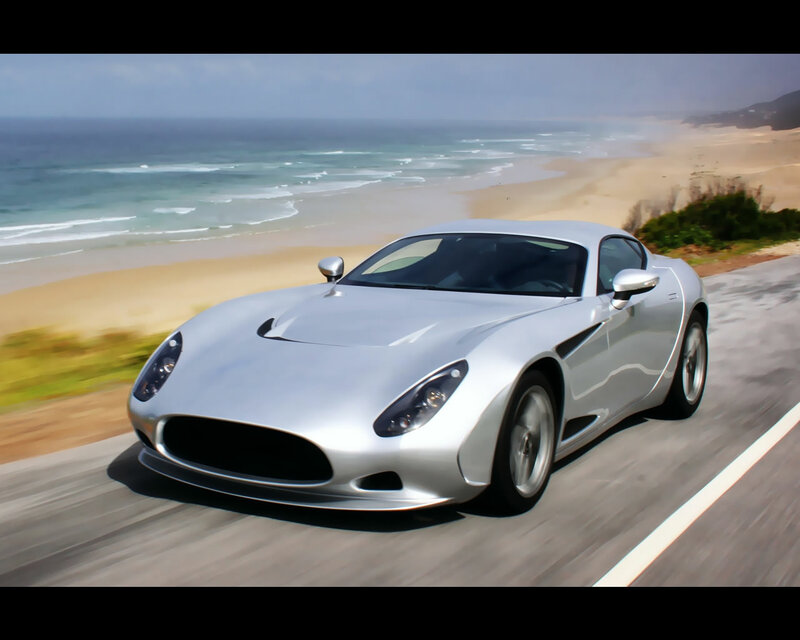 The post The AC 378 GT Zagato appeared first on Carspoon.com. AC first joined forces with Zagato in 1957 when the latter designed the one off AC Ace Bristol Zagato sports car, a pure racing GT Berlinetta. It was designed with the characteristic Zagato roof, containing two bubbles for crash helmets, and a 2 litre, straight six engine. 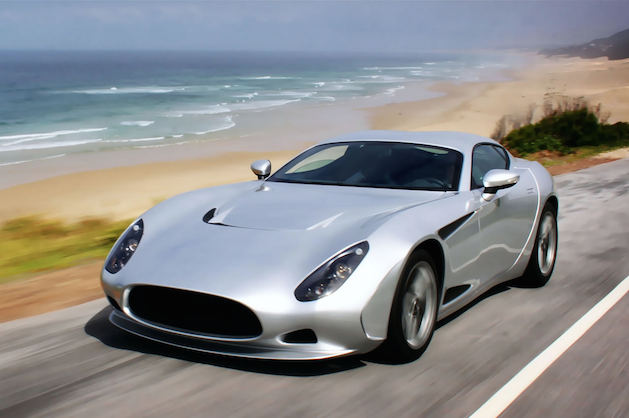 The AC 378 GT Zagato sports car was based on the Zagato Perana Z-One, launched in 2009 at the Geneva Motor Show. In 2012, Superformance teamed up with AC, and the Perana was relaunched as the AC 378 GT Zagato, and priced at £90,000. It was powered by a 6.2 litre, V8 engine, sourced from the Chevrolet Corvette C6, with a six speed gearbox, and developed 434 bhp at 5900 rpm, and 430 ft/lbs of torque at 4600 rpm. This produced a top speed of 185 mph, a 0-60 mph time of 3.8 secs, and a 0-100 mph time of 8.9 secs. 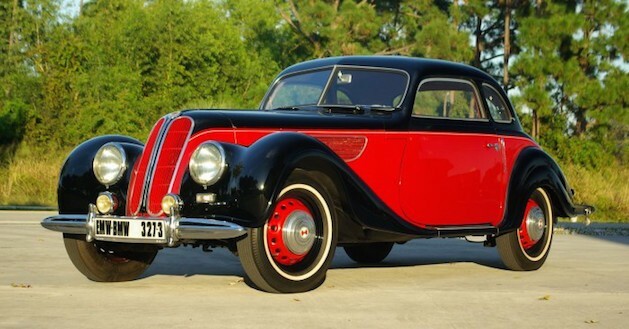 It was offered as a fixed head coupe, with a roadster to follow. The cockpit’s layout was based on Zagatos minimalist design philosophy, and production began later in 2012. The space frame chassis incorporated steel tubes, and supported a lightweight fibreglass body, so that the final weight of the car was 1465 kg (3230 lbs). Typical of AC, there were no electrical driver aids, such as ABS or traction control. 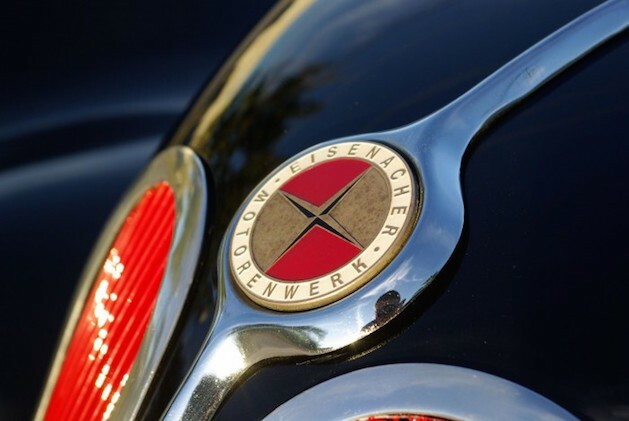 The “378” part of the name reflected the cubic inch capacity of the engine (in line with the naming of other AC cars, such as AC 289, AC 427), whist the “GT” defined its role as a long distance tourer, and “Zagato” identified its renowned Italian designer. Its excellent handling characteristics were derived from its 50/50 front/rear weight distribution. The latest AC licensee was the South African company Hi-Tech, which built glassfibre AC Cobra replicas for the US market under the name Superformance, and was now chosen to build the 378 Zagato. Furthermore, the company planned to build a V8 powered AC Cobra styled Mark 2 convertible, priced at under £70,000. The styling of the 378 GT was to be based on the original 1960’s racing AC Cobra coupes. The AC 378 GT Zagato sports car received its UK launch at the 2012 Auto Italia Motor Show at the AC Heritage Centre at Brooklands, where older AC models continue to be built. This launch marked the 50th anniversary of the creation of the original AC Cobra back in 1962. The new car was to be built in South Africa and Germany. AC had a rollercoaster financial past, with receivership in 1996. However, new management has ensured that the iconic AC Cobra is brought back into production. On the other hand, although the Mark 2 and Mark 4 “Continuation” Cobras were thriving, AC could not remain as a one model company. Hence, launched at the 2012 Geneva Motor Show, the AC 378 GT Zagato sports car represented the first all new model introduced by the company in over a decade. With the demise of the Perana, Zagato offered the design to AC, who agreed to develop the theme. The 378 Zagato had a new chassis and body built in South Africa by the team who built the Noble sports car. Initially, the car was available only in the UK and Germany. Marketed in the US, it would have had a price tag of around $140,000, some three times more expensive than the Corvette C6 whose engine it used, which possibly explained its absence from the US at that time. The post 5 Things Smart Shoppers Look For Before Buying a Used Car appeared first on Carspoon.com. Here is the list of five important things you, the car buyer, should pay attention to when on the dealership lot or when checking out the same vehicle online. 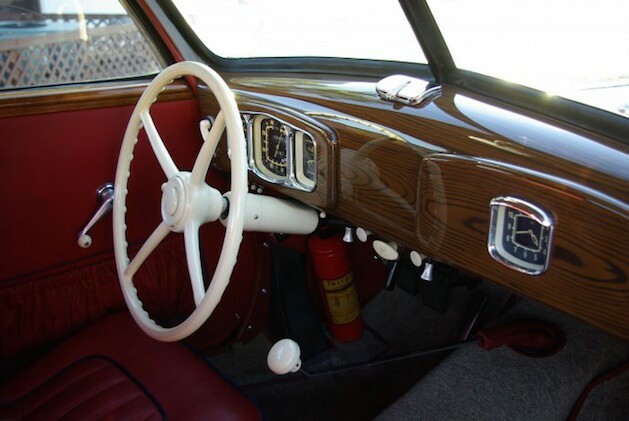 There are many things to check in detail when inspecting the interior of a vehicle. Check the interior upholstery carefully for any tears or stains. Check if the air-conditioning and heating system exhausts are blowing air properly. Check the odometer for car mileage. Check different lights that are inside the vehicle, like hand brake indicator, ability to change the intensity of dash board display, dome light, radio, CD player, etc. Make sure Check Engine light is off, if the indicator is on, avoid that car. The paint job of the vehicle, check for any rust spots, dents or scratches. Be sure tires are worn evenly and are the same kind. Don’t forget to check the spare tire as well. Make sure headlights and brake lights are working properly. Read online reviews about the make and model of the used car you want to purchase. The review contains all the advantages and disadvantages of the vehicle. You should also search for customer reviews before making the decision to purchase the used car. It is important to research the price of the used car to ensure you are paying the right price. Use several different sources such as Kelly Blue Book and Edmunds to compare prices for the same year, make, and model. While the final price of the vehicle will depend on the vehicle’s mileage and its condition, but researching the price will give you a good idea on the possible price range. Determine if the vehicle has been any accidents or has had any major repairs. Obtain the vehicle’s VIN number or ask the salesperson about the vehicle history report. Most dealership these days offer free CarFax or AutoCheck reports on their website. If needed , you can obtain the vehicle’s VIN number from the dashboard on the driver’s side of the vehicle. 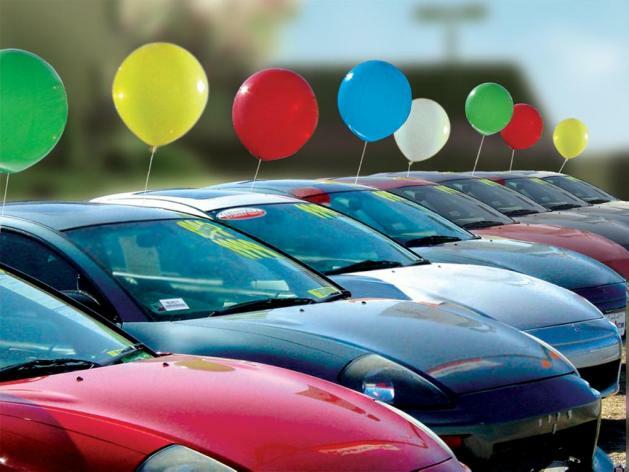 The vehicle history report can help you make a more confident decision when buying a used car. If you are searching for a used vehicle in the Kansas City area, there are many places online to compare models and prices to ensure you are getting the best deal. Visit our website, at northtowneautogroup.com to compare used cars for the best deals. The post Top 5 Cars That Say ‘I’m Compensating’ appeared first on Carspoon.com. The post Top 5 muscle cars worth restoring appeared first on Carspoon.com. Interested in restoring Muscle Cars from the 60s? This has been a hobby for many people and for quite some time now. One question that I always hear from people that are interested is what car to pick? Well, for starters, there are plenty of 60s muscle cars you can choose, and it really depends on what you are looking for. On one had, there are the more common and cheaper cars if you’re on a budget, and on the other hand there are the more rare ones which would cost you more money to restore. Regardless, this is a fun hobby and if you have the time it can be extremely rewarding. This is not going to teach you how to restore classic cars, but rather help you decide the first step: which car to choose? The post Brief Corvette History appeared first on Carspoon.com. 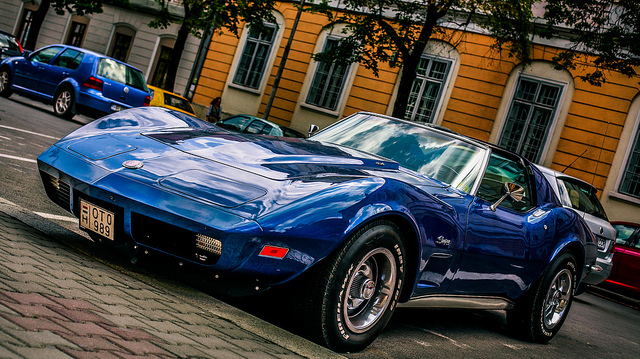 The Corvette is distinctive in the history of automotives. The car has attained over 60 years of production and no other vehicle can match the car’s reputable and powerful two-seater. Since its 1953 debut, the Corvette has undergone six generations and various designs. Although classic models for instance the Stingray is no longer existent in the assembly line, Chevrolet still manufacturers a wide range of Corvettes that serve different budget and driving needs. Contemporary corvettes range from fundamental models to the fast, powerful, and speedy ZRI model. If you seek more information on the rarest corvettes, check out this list. This basic model is the most affordable in the group of Vettes. The 2011 model has a 430-horsepower and can move from 0-60 mph in 4.2 seconds; this is comparable to the capacities of numerous Ferrari models. Additionally, the Coupe has a detachable roof panel that allows for open-air driving. The Convertible has a similar engine, gas and pickup mileage performance as its counterpart, the Coupe. In standard models, top removal is manual and more costly models feature power tops that shift at the touch of a button. In 2010, the manufacturer revived this car type for public sale. This type comes in convertible and coupe forms. Although it features a similar engine as basic models, its design is different. 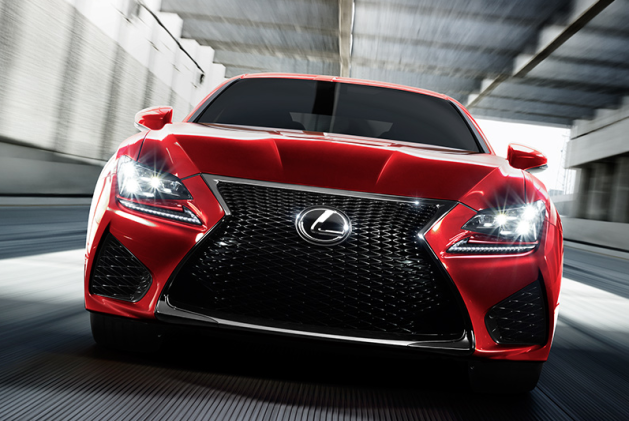 Differences comprise a wider body, more powerful brakes, and fender flares. The introduction of this model occurred in 2005. Design elements for instance a carbon-fiber floorboards and aluminum frame make this model weigh approximately 140 pounds less than the fundamental corvette. The introduction of the ZO6 model occurred in 2009, and it’s the fastest, most expensive model to date. Furthermore, the car has poor gas mileage performance and this model is twice as costly as a basic corvette. In 1953, the manufacturer merely produced 300 corvettes and each of them featured red interior. The production of the initial cars comprised a reasonably weak150 horsepower and an automatic transmission. During this era, the production of corvettes increased from approximately 10,000 vehicles annually to roughly 27,000 cars annually. The variety of engines also increased. By far, C3 generations express the biggest generation ever manufactured. 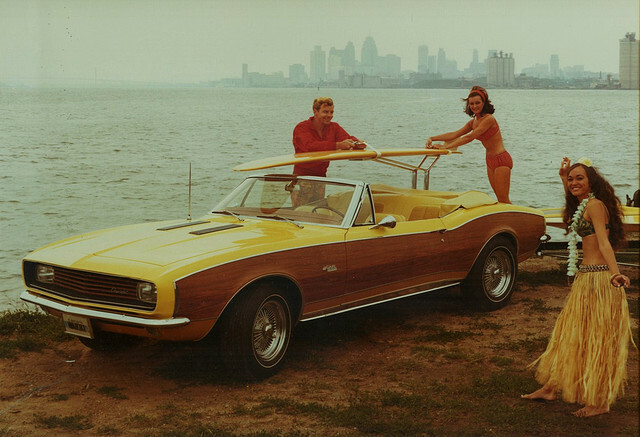 This generation of cars began well; however, standards of emissions and GM’s dissatisfaction of the 1970s, depressed collector values and horsepower. During this period, Chevrolet designed a new car. However, the produced prototypes for the 1983 model had vital quality issues. Consequently, the release of the fourth generation took place in 1984. This generation improved in horsepower and quality. The car is worth between US 6million and 8million and the production of only five took place before the manufacturer discontinued its production. This is the best of the second generation vettes and its value is $1 million. This was Corvette’s first production. The car had poor construction and featured red seats. The car features a 36-gallon gas intake, beneficial in racing since it decreased fill-ups. Additionally, it featured brakes and performance suspension. 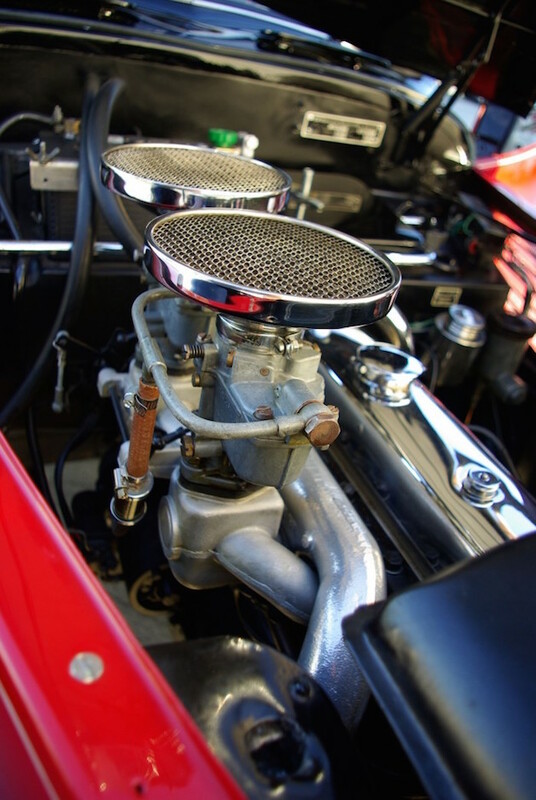 Fuel injection describes a system, which can enhance a vehicle’s performance and efficiency. The manufacturer offered the car as an option in 1957 initially. In conclusion, the Corvette is a vehicle that has found its way into racing tracks, American driveways, and pop culture. People purchase it for varied reasons ranging from accessibility to social experience. If you’re unsure whether to consider this car, perhaps you should know more about it. The post 5 reasons you should buy a new car instead of a used car appeared first on Carspoon.com. 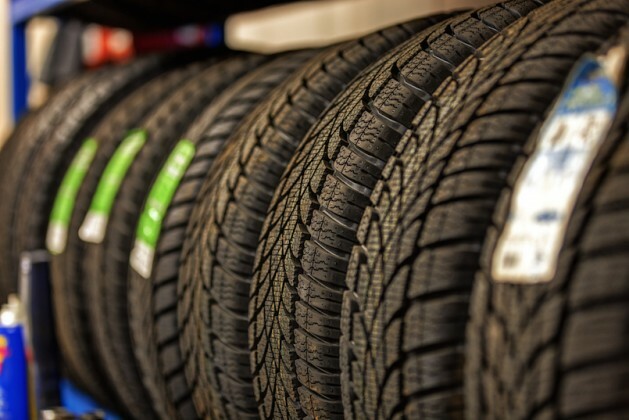 The post 5 best car tire brands appeared first on Carspoon.com. Your car is comprised of many parts, some necessary, some simply for your entertainment, but when it comes right down to it, your tires are literally four of the most important parts on the vehicle. Without your tires your vehicle wouldn’t go anywhere, and quite frankly, they spend more time in contact with the road than anything else. In other words, they will wear out faster than most other parts, and they need to be able to put up with a considerable amount of abuse. That being said, when you are replacing your tires, it is of the utmost importance for you to choose ones that will continue to uphold the tradition where your previous one left off. For this reason, we have compiled a list of the five best car tires on the market for your approval. There are many tires in the Michelin line, from the Primacy MXV4 to the Pilot Sport A/S3. Some of these tires are designed for all season while others are designed specifically for winter. Additionally, Michelin has a line of tires made specifically for trucks, ensuring equal tire opportunities for everyone. Along with the versatile line, Michelin can guarantee class-leading tread wear backed by top rate warranties that include both summer and winter tires. Keep in mind that most competitors cannot say the same regarding their warranty. The only problem? Michelin tires can be a bit heavy on the wallet, though in our opinion it is well worth it. There is some debate amongst car enthusiast as to whether or not Continental tires actually beat Michelin out of the running, but we tend to believe that they are on equal footing. The handling is outstanding, and the treads allow for quick stopping on roads in all conditions. The one thing we would like to address is the price. These are high performing tires on par with the Michelin brand, but they are offered at a significantly lower price, which definitely makes them something to consider for your next big upgrade or tire change. Admittedly, most of the tires from TreadWright won’t help you out if you’re doing in-town or city driving, but when it comes to the off-rad world, you really can’t go wrong here. Tires like The Warden from TreadWright make the entire world your playground, and the company has been refining their tire building process for the last thirty years. The commercial grade treads ensure up to 25% more life than tires from any comparable brand, and to make it even better, they are produced with 70% recycled materials. In other words, you can travel anywhere, secure in the knowledge that your purchase has helped the environment. Does it really get much better than that? Many users have stated they managed to get as many as 60k miles from these tires, making them the optimal choice for heavy duty drivers. One thing to keep in mind is that TreadWright tires are known as ‘retreads’, meaning they are comprised of old tires which have been recapped. Firestone has been a staple in the tire industry for years, and they are outstanding for heavy use. 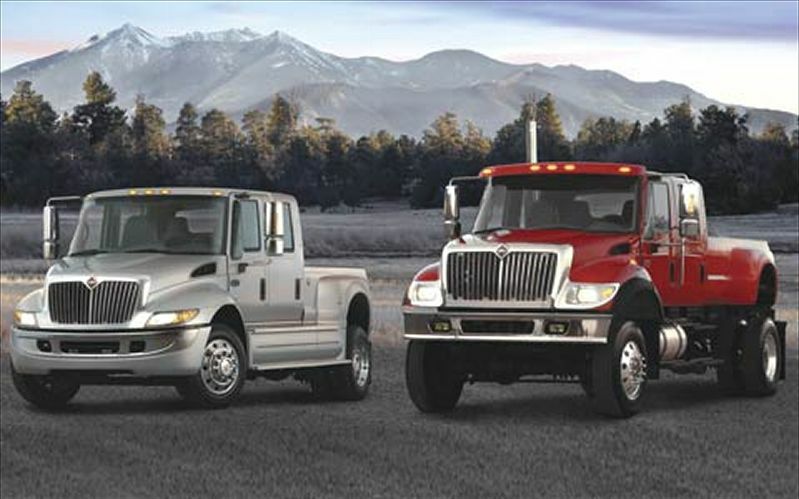 Some of these uses include towing and most notably driving on rough terrain, such as construction sites. If you need tires that can survive the abuse that life as a work horse brings, Firestone really brings the A game, so to speak. To make it even better, they come at a great price. We have placed these tires at the bottom of the list simply because they are typically winter tires. If you live in a place like Alaska, then they will work year round, but otherwise, they are simply a change you make to your vehicle once per year. Now, they do make the WR G3 tires for both SUV’s and regular cars which you can keep on the vehicle year round, but the performance may leave something to be desired. The post The brief history of the 1954 EMW 327/3 appeared first on Carspoon.com.